One man’s journey from the beginning of faith to worldwide leadership for peace. 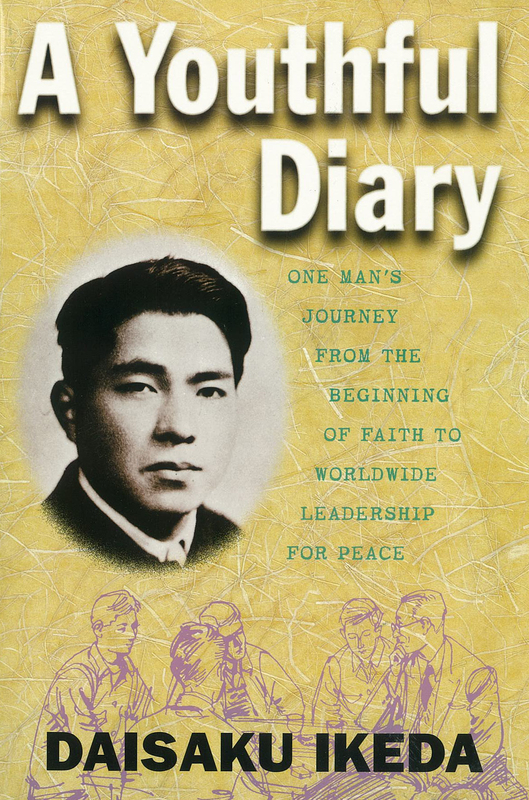 In 1949, a 21-year-old Daisaku Ikeda began a private diary that would continue for 11 years, until May 1960, shortly after he became the third president of the Soka Gakkai. 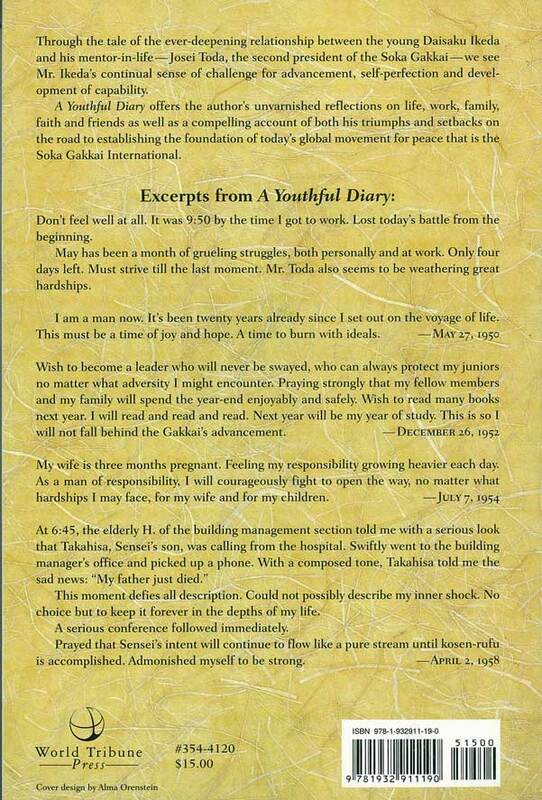 A Youthful Diary records the day-to-day reflections of this young man struggling with ill health to master the tenets of his newfound faith and develop his own worldview under the tutelage of his mentor in life, Josei Toda, during what became the formative years of the lay Buddhist Soka Gakkai organization in Japan.